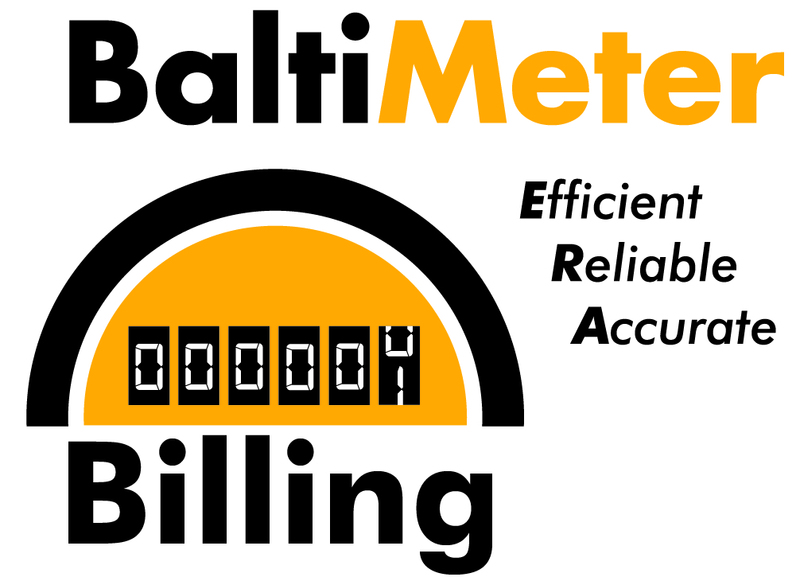 In October 2016, the Department of Public Works (DPW) started BaltiMeter Billing, a new water and sewer billing system that enhanced DPW's infrastructure and helps to ensure customers receive efficient and reliable billing services. The below information affects only City customers at this time. Baltimore County is expected to begin in 2017. Why is a new billing system needed? • The old, 1980s-era billing system does not produce a customer friendly bill format. BaltiMeter Billing offers customers an easy to read MONTHLY bill that clearly shows how much water is used, how much money is owed, and other useful information. • Monthly bills will now only be based on how much water you use, not a minimum, and will clearly show each cost your bill covers. Including the fixed cost you already pay for account management and infrastructure investment. • As water conservation initiatives have grown and the importance of customer service through different channels has been emphasized, most water utilities are moving to monthly billing and the inclusion of fees for administration and infrastructure. • An Account Management Fee helps pay for the cost of administering your account, and an Infrastructure Fee helps pay for the cost of upgrading our aging pipes and plants. Under the old billing system, these fi xed costs were included in the quarterly water and sewer rates. • The Stormwater Fee and Bay Restoration Fee will also be billed in monthly amounts, rather than quarterly. • The conversion to the modern BaltiMeter Billing system provides customers the ability to see daily household water and other account information online. Each property owner will receive an individual password to log in to their secure online account. • By having more information regarding their water consumption, customers will have more control over their water usage and expenses. • Please view the “Understanding Your New Water Bill” document for an example of what your bill will look like. How is the billing system related to the new meter I received? The new metersare outfi tted with technology that can collect and transmit hourly and daily usage data. Customers can use this information to make better decisions about water consumption and conservation. Will financial assistance programs still be available? Yes. View the hardship programs for low-income senior citizens and other customers that will remain for City customers. City or County customers who need help to catch up on bills will also still be able to apply for payment plans. In fact, DPW is expanding options for payment plans. What happens to my current payment plan? Customers on payment plans will see more detailed information about their payment plan on their monthly water bills. Will I be able to pay my bill online? No. Your account number will change and you will see this new number on your first monthly bill. You will need this account number to pay your bill. Yes. Customers must make a payment by the due date on the bill to avoid a late fee. Am I able to receive my bill electronically? Not at this time. You will be able to view your bill online through the customer portal. Customers will still be mailed paper bills. What other improvements are being made for customers?